I tested it by booting from my Z87 system from a USB 3.0 port and video, internet and audio worked fine (I had to change the Audio device setting first though). Please see the second part of the blog for 2014 version here for details. P.S. The latest build from here worked under VBox when booting from Easy2Boot. I actually used OpenELEC-Virtual.i386-devel-20140317134709-r17946-gb27c946.tar. The x64 version runs better than the i386 version under VBox - enable 64-bit and configure multiple CPUs (no video stutter) with Video acceleration for best performance. 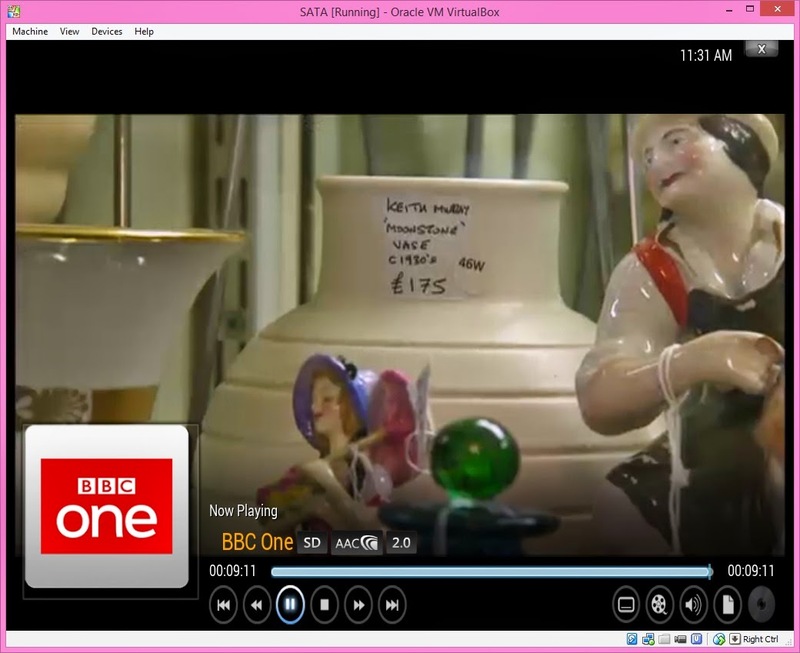 To watch Live TV programs such as BBC1/2 and other freeview channels, add TVCatchup. Download the repository zip file to the E2B USB drive and then boot XBMC and load it into XBMC - follow the instructions here. Using this and the VM x64 version of OpenElec, I am able to watch live TV having booted from my E2B USB drive under VBox with no stutter/lag! Boot directly from grub4dos to UEFI using Clover! There are still weird BIOSes about! MenuetOS - a tiny GUI OS!